The carpet in your home gets used everyday and it can be expensive to replace. Can you say that about your television, your car, or your stove? Every single day your carpet gets used, but other than vacuuming, how much TLC do we give our carpet? 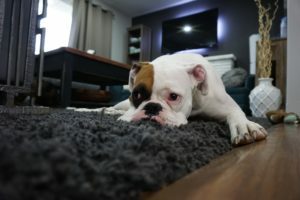 Over time your carpet starts to show signs of wear and tear in high-traffic areas, if you have children, and especially if you have pets. Calling in a professional saves you time and money and keeps you from having to put one more thing on your to-do list. Use your carpet everyday, let us take care of it for you. From Mechanicsville to Point Lookout, from Prince Frederick to Solomons Island in Calvert, let the professional carpet cleaners handle the work for you. We service all of the Southern Maryland area. We are not a franchise, we are a locally owned company. We will always treat you as a neighbor, because you are one. Contact us to set up an appointment today! Why is Carpet Cleaning Important in Assisted Living Facilities? Fill out our Contact Form for your free estimate.